West Torrens Birkalla were unable to claim any points in Round 2 of the PlayStation 4 National Premier League SA, thanks to a late goal to Croydon Kings’ Mohammed Sumaoro. 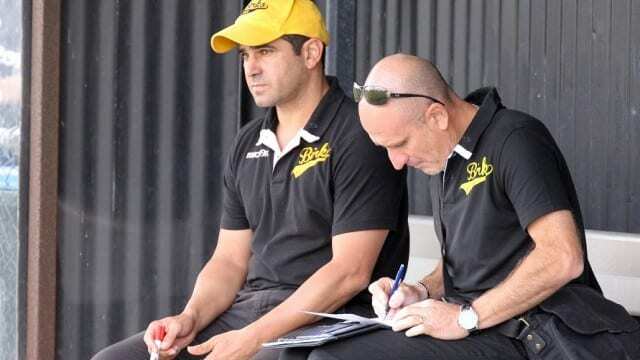 Birkalla shared the points with MetroStars in Round 1 while Croydon were hungry to get on the board after a 5-0 loss to West Adelaide the week prior. Coach Steve De Giovanniello said that the result wasn’t a true reflection of his sides performance. “I thought that the first half was pretty even and then once we got the send off (JP Cirillo), obviously the game changed in the second half. “To be honest, I think a draw would have been a fair result given that they didn’t create many chances against our 10 men – they probably had 1 maybe 2 and scored. Long-time Goal Keeper Julian Torresan suffered an injury in Round 1 which will see him sidelined for a number of weeks. Reserve Goal Keeper Joe Gauci was elevated to the Senior goals position against Croydon and De Giovanniello told that it was a solid first outing. “I don’t think he had very much to do to be honest! There were not many saves to make but the things he did do, he did well; his distribution was good, communication was good. It was probably a good initiation for him to give him a fair bit of confidence. Focus now shifts to Round 3 and an away game at Adelaide Shores Football Centre against West Adelaide; West are sitting with a win and a draw. De Giovanniello notes that the squad is not quite set yet, but he is quietly confident about the match ahead. “We need to make another change again for JP and we haven’t had a settled starting 11 at all, so until we get that it is always going to be tricky. “Adam Lecornu will come in, he is a big ‘in’ for us, and I think that the boys know that we need a result and need to bounce back, other wise the other teams are going to get too far ahead of us. Head to Adelaide Shores Football Centre to catch all 3 grades in action with kick-off against West Adelaide from 11am.